Did you miss this year’s Cathodes conference? Here’s a round-up of the expert interviews we conducted at the show. The Cathodes event, held as part of Benchmark Minerals Week every year, focuses on cathode demand, lithium, cobalt and nickel supply and battery megafactory build out. This year’s conference, which ran from October 24 to 25, was a busy event for the Investing News Network (INN), which had the chance to catch up with industry experts and CEOs. If you weren’t able to make it to the event, don’t worry — we’ve put together a quick look at the main highlights of the show and below we’ve gathered all the audio interviews we conducted with speakers at the conference. Chris Berry, founder of House Mountain Partners, talks about lithium stocks, lithium prices, IPOs and more. In this interview, lithium expert Joe Lowry shares his insight on the market, the “oversupply myth,” Chinese prices and the positive surprises in demand seen in 2018. Speaking with the Investing News Network at this year’s Benchmark Minerals Week, Sam Jaffe, managing director at Cairn ERA, talked about the future of lithium-ion batteries, new cathode and anode technologies and what’s ahead for the sector. INN caught up with Ken Brinsden and Dale Henderson of Pilbara Minerals (ASX:PLS). “I think the persistent theme is there’s still a healthy dynamic in terms of growth in the lithium-ion supply chain, there’s a significant requirement for growth in the raw materials supply base and that’s the opportunity Pilbara Minerals sees,” Brinsden said. Anthony Tse, managing director and CEO of Galaxy Resources (ASX:GXY), shares insight on the lithium market and the company’s future. “This year the demand has remained robust [even though] we’ve seen a little bit of volatility in pricing, in particular in China,” Tse said, adding that on the flipside, hydroxide pricing has remained strong in the last couple of months. Most market watchers would agree that lithium has had an interesting year so far. 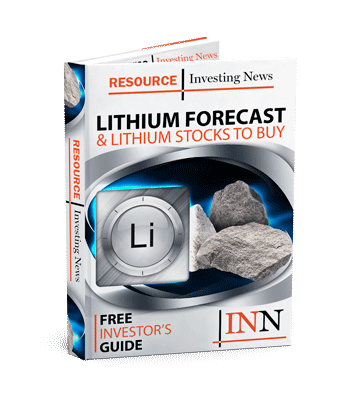 To get more insight on what’s been happening in the sector, the Investing News Network caught up with Howard Klein, founder of RK Equity and publisher of the Lithium-ion Bull newsletter. The Investing News Network had the chance to catch up with Robert Mintak, CEO of Standard Lithium (TSXV:SLL). Standard Lithium is focused on advancing projects where production can be brought online quickly. The company’s flagship Smackover project is in a region of southern Arkansas that is home to North America’s largest brine production and processing facilities. To get more insight on the cobalt market, the Investing News Network caught up with Trent Mell, CEO and president of First Cobalt (TSXV:FCC,OTCQX:FTSSF,ASX:FCC). The CEO of First Cobalt, which has operations in North America, shared why Idaho is a key geographical area. Mell said that developing a project in North America is positive because it is outside of the Democratic Republic of Congo (DRC), and also outside China. David Anonychuk, managing director of M.Plan International, talked with the Investing News Network about the cobalt market and what regions to watch outside the DRC. Anonychuk, who has previously done due diligence on the ground for cobalt and copper projects in the DRC and Zambia, also talked about supply concerns and responsible sourcing. Nicholas Garrett, CEO of RCS Global, talks about responsible sourcing of raw materials in this Benchmark Minerals Week interview. To get more insight on what is happening in the nickel space, the Investing News Network sat down with expert Jim Lennon, managing director of Red Door Research. “At the moment demand from the battery sector represents a 4 to 5 percent of overall demand (…), however [this is growing] at a probably 30 percent compound average rate growth,” Lennon said, explaining that it will be a challenge to meet that increasing demand. At this year’s Cathodes event in Newport Beach, increased nickel content in lithium-ion batteries was a topic in many presentations. To get more insight on what’s ahead for the base metal, the Investing News Network sat down with Anton Berlin, marketing director of Norilsk Nickel (Nornickel) (MCX:GMKN). Editorial Disclosure: First Cobalt and Standard Lithium are clients of the Investing News Network. This article is not paid-for content.